A year ago, I picked up a pencil and started learning how to draw, first with basic exercises, then copying pictures from books. I try to draw something every day – even if it’s just a doodle. It’s been good – peaceful, actually. My head is quiet when I draw. Eventually, I want to be able to render subjects accurately. Not because I see myself working in a realistic style, but so that I have some techniques under my belt when I start exploring how I see the world. My eye is already looking ahead at the work of artists whose way of seeing appeals to me. 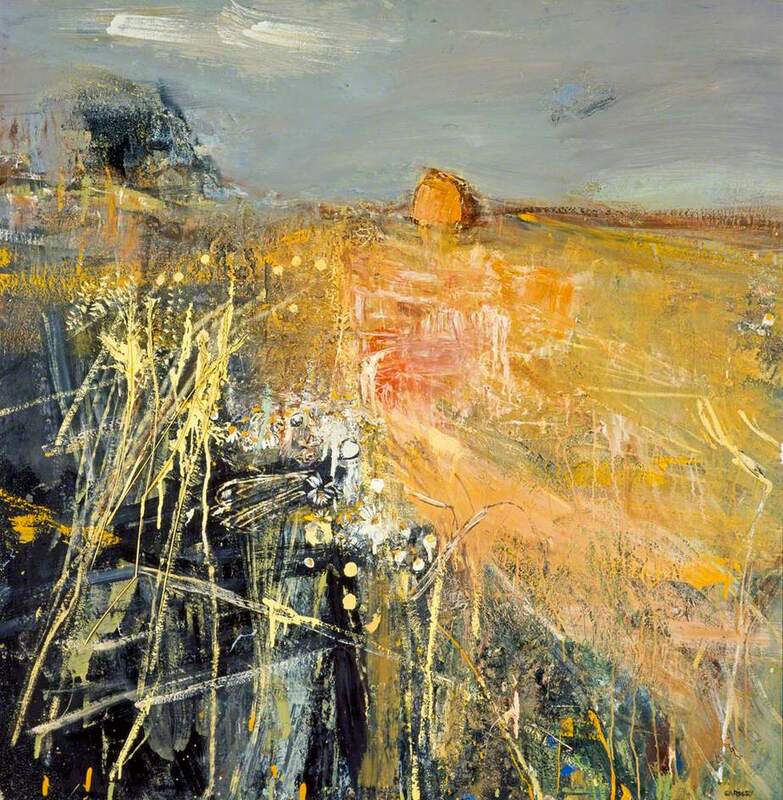 Joan Eardley (1921 – 1963) is one of those painters. Her landscapes are luminous and sparse and filled with energy. The BBC website has a great gallery of British artists. I found a slideshow of Eardley’s work there – really worth checking out. 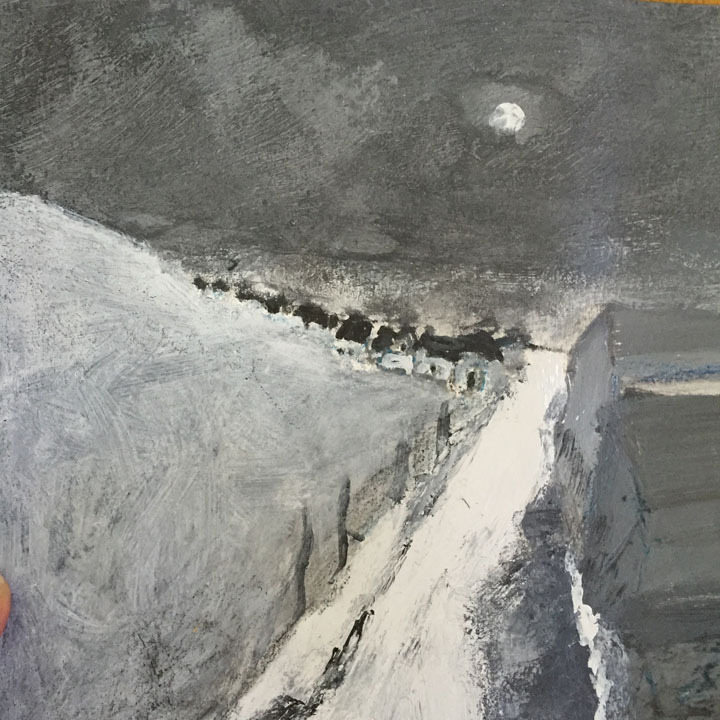 And here is my first painting, a study of an Eardley landscape – my version in black and white, painted with white household latex paint and black ink – what I had on hand. Previous Post “As much cake”…? Where’s the food? I like it. But it keeps giving me more than I want. I got caught up in the five foods you shouldn’t eat. Thanks, Morris! So, about “the five foods…” does that mean you’re seeing advertising? I really like your black & white painting and I love the fact that you used house paint. Many abstract artists that work large use it. Very current and practical. Thank you! This one is special to me – I guess because it was my first, and inspired by one of my all time favourite painters.